I Made the Local Paper! 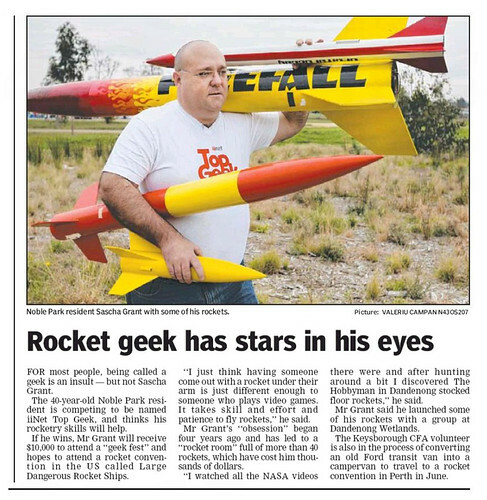 Despite being eliminated from the iiNet TopGeek competition during round 2, I did get a story in the Dandenong Leader newspaper! The email I received from iiNet said that I only missed out winning my category (Tech) by a few points, coming runner up. Oh well! I'll try again next year! !